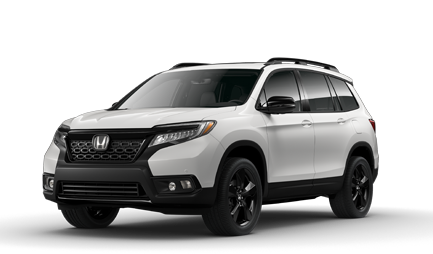 The new 2019 Honda Passport is on it’s way to our Premier Honda dealership in New Orleans, Louisiana and we want all drivers from around the greater New Orleans area to be the first to see them. The engineers at Honda have created the new 2019 Passport to be the capable and versatile sports utility vehicle you need for any adventure. For drivers in the Metairie and Kenner, LA areas who love the journey, the new 2019 Honda Passport is the SUV for you. Visit Premier Honda in New Orleans today to learn more about the new 2019 Honda Passport! Under the hood of the new 2019 Honda Passport, you’ll find a muscular 280 horsepower, 3.5L V6 engine that is up to whatever task you need. Whether you are hauling a trailer or taking on muddy terrain, this Passport is your key to success. And with the new 2019 Passport, you’ll be able to conquer any region, thanks to the available All-Wheel Drive system with 4-Wheel independent suspension. Plus, the new Passport comes with an Intelligent Traction Management system that will allow you to adapt your SUV to any terrain, whether that be snow, mud, sand or normal. When available, contact our sales team at Premier Honda of New Orleans to schedule a test drive of the new 2019 Honda Passport. By setting up a test drive, you can gain a first-hand experience as to what makes this sports utility vehicle so unique. And when you are finally behind the wheel of the new Passport, ask our friendly sale team about the spacious passenger area that can seat up to five. In the rear of the new 2019 Honda Passport, drivers will discover the over 50 cubic feet of cargo volume. Plus, if that isn’t enough room, you can take advantage of the Underfloor Storage area next to the spare tire. Here you can store and organize your everyday tools, items or hide personal belongings. Still need more room? Fold down the one-touch 60/40 split Rear Seats to increase your storage area to over 100 cubic feet of space. Inside every new Passport is a suite of intelligent features that are designed to help protect you and your family on the road. These Honda SensingⓇ features offer driver assistive technologies such as Road Departure Mitigation Systems and Lane Keeping Assist Systems to help make you aware of any potential incidents on the busy New Orleans streets while helping you avoid collisions. These features are standard on the new Honda Passport, visit with our team to learn more about these excellent suites of amenities. 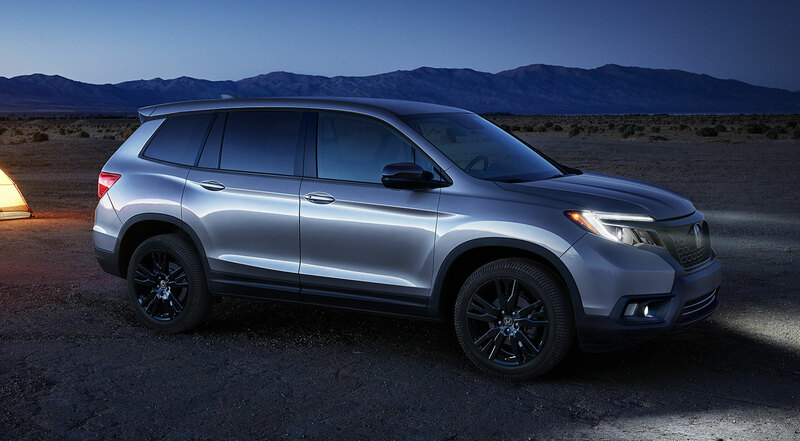 Are you looking to finance the new 2019 Honda Passport? Visit with our expert finance team at our Honda dealership in New Orleans, Louisianna. Our finance team can help you find the auto loan that works with your monthly budget; not against it. Plus, when you work with us at Premier Honda, you can take advantage of our Honda Graduate and Honda Military Programs. These programs are designed to help those deserving with deals and special packages. If you would like to learn more about these programs, contact our finance team today to learn more!